Most of us have a steady stream of visitors to our houses—friends, family, landlords, pizza delivery guys, Airbnb travelers—and many of them are going to want access to your wi-fi at some point. The normal process would be to hand over the passcode printed on the back of your router, but there’s actually a much better option: a guest access point. The main advantage is that this separate network (which appears as a different SSID or network name) is locked out of the rest of your devices. Things like network printers, NAS drives, shared files, and other sensitive network information won’t be available from the guest access point. You’re essentially giving people internet access—and that’s it. Depending on the hardware you’ve installed at home, you might also be able to put restrictions on the amount of bandwidth guests can use, the times they’re able to get online, even what they’re allowed to look at. Meanwhile, your standard network stays separate for your own use. Having two wi-fi networks—one for you, one for guests—lets you configure each one for specific needs. For example, you can turn off the guest network without affecting anyone one the primary network. You can also restrict how much bandwidth your guest network is allowed to use if you don’t want your guests doing any illegal downloading. You can give your guest network a simple password that’s easier to remember as well, to save a lot of typing and repeating. Remember all of your computers and devices are still locked away behind the long, complicated password protecting the primary network. For the ultimate in convenience, you don’t have to give your guest network a password at all. Bear in mind that this means anyone inside or outside your home can get connected and spy on the traffic passing through it (that’s probably something you should tell your guests as they’re about to log in). If your house is remote enough and you regularly use network monitoring tools (and you trust your neighbors and visitors), then going password-free on your guest network is an option. Otherwise, it’s a better idea to use a very simple password for added protection. This is going to depend on your router. 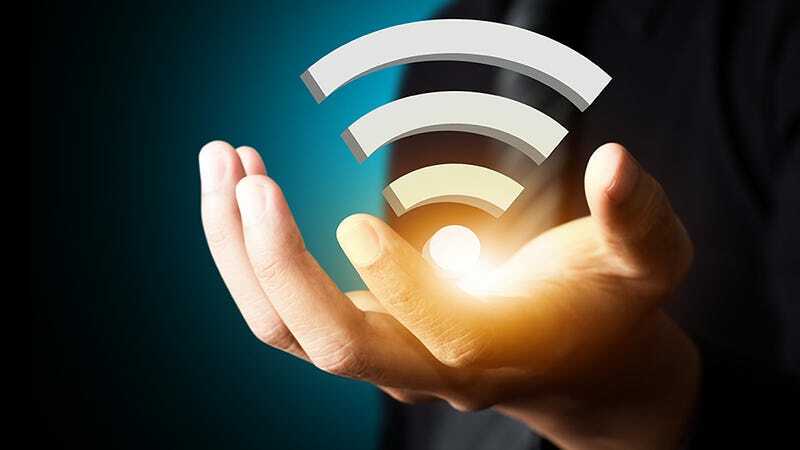 If support for guest access isn’t built in, you’ll need to connect a separate router or wireless access point that does have the function, or—for the more technically adventurous—install DD-WRT over your router’s existing firmware. A quick web search or flick through the manual should be enough to determine whether your router has guest access capabilities. This is one of those reasons why people choose to upgrade their kit: the best routers let you set up multiple wi-fi networks and even limit the bandwidth used on each of them. Many routers come with a simple one-page list of settings for configuring your guest network and it shouldn’t take you too long to get set up. You can find instructions online for Linksys, D-Link, Asus, Netgear and most other manufacturers, though the majority of the options should be simple enough to understand without any help. Some hardware lets you isolate guest devices from each other for greater security, and there’s often the opportunity to hide the SSID name from being broadcast—not the friendliest option if you want to make it easy for your guests to get online. We’ve also seen firmware that limits how many guests can connect at once. Which Browser Engine Powers Your Web Browsing—And Why Does It Matter?